There was a lot of really good meals this past long weekend. We had an epic back patio brunch (erm, lunch) at Shane's place. I am hoping that I will be able to uncover a few photos from that meal because it was unreal, I unfortunately didn't take any because I was cooking. That huge Canada Day lunch was followed up with one of my favourite meals, Vietnamese Bun on Saturday night and after acquiring some local Strawberry from the market we finished the weekend off with Strawberry bison burgers on Sunday. 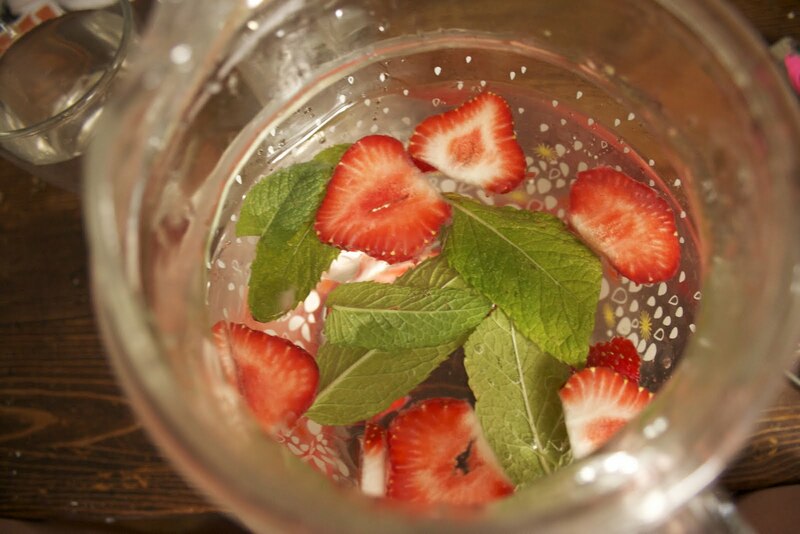 Fresh local strawberries & mint ice water. 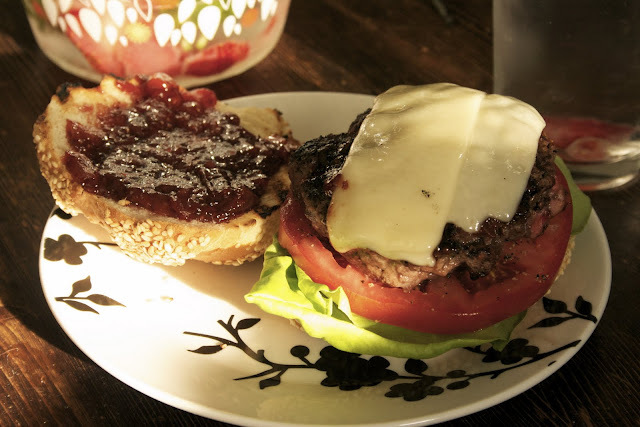 Strawberry bison burgers with Swiss cheese, tomato, lettuce and homemade strawberry ketchup.